The time of wearing the same old shoes is passe. It’s time for a new revolution in shoes. Orphe Shoes have become extremely popular among people straight from the time they saw what it can do. Even you will be shell shocked after you read this article. Enjoy! Orphe is a smart-shoes system designed for performance that functions both as a customizable lighting system and a musical instrument/audio-visual controller. This technology allows users to intuitively express themselves in new and interesting ways by freely mapping interactions between their movements and light and sound. You can create your own LED design that can be easily uploaded on the shoes. 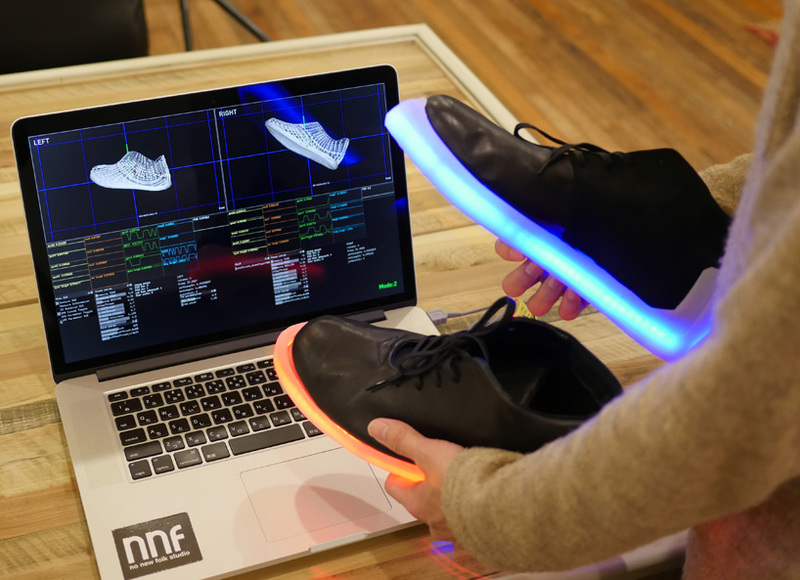 The sole of each shoe contains advanced motion sensors, around 100 full-color, serially-controlled LEDs, and a wireless module. Users can record their movements and then send it to their hardware system via bluetooth so that they can sync their steps. Users can easily assign lighting patterns to the shoes with a smartphone or Tablet. Users can control the movements of the LED in any direction via their smartphone or tablet. These LED lights can be set to change according to the dancer’s movements and orientation. A dancer can share his/her movements to others so that other users can imitate the gestures of the dancer they want to emulate. Each sole is also surrounded by a high density LED tape with lights that can be controlled individually by the microprocessor. This technology has been created for artists and performers with a focus on wireless interaction and the Internet of Things. Previous articleThe Corporate World Receives a Mahabharata Twist. Find out Which One Is You? Next articleSHOCKING: Batman Officially Lives In Pune?